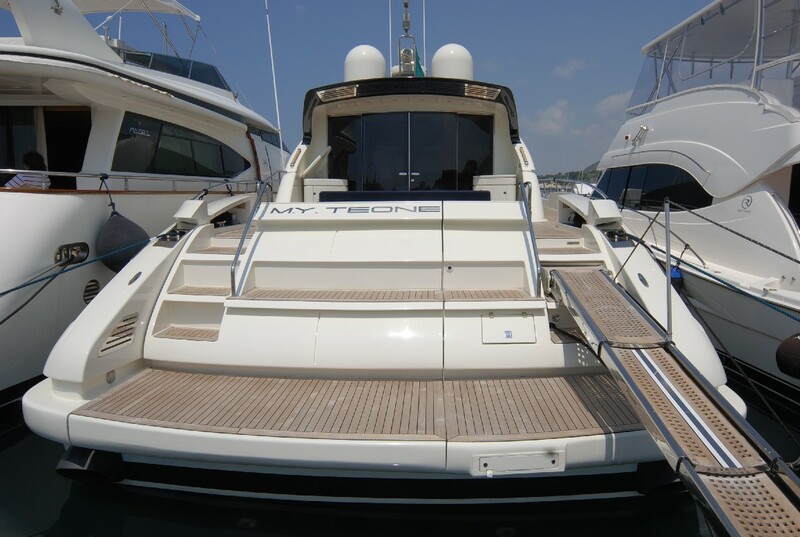 Motor yacht TEONE is a 20.85m (68.4ft) Italian Riva design. 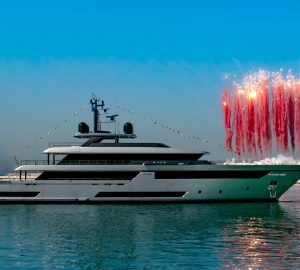 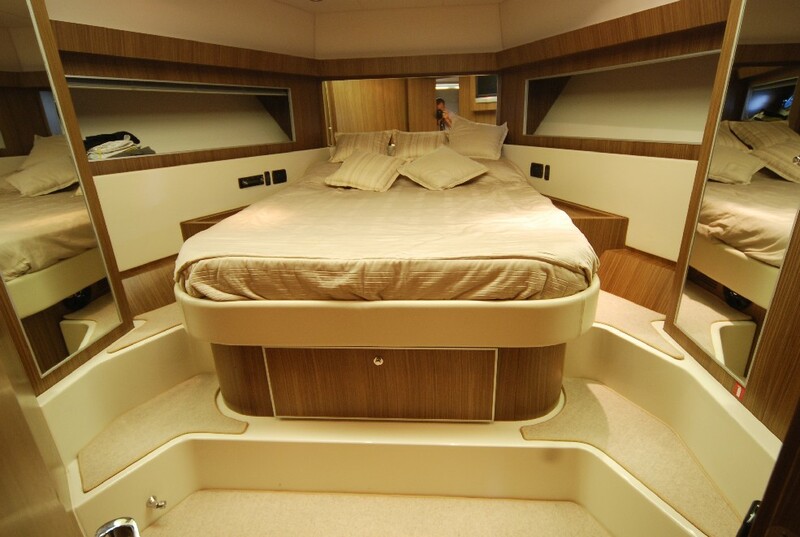 The sleek master piece of a luxury motor yacht offers great interior and exterior living for a yacht of this size. 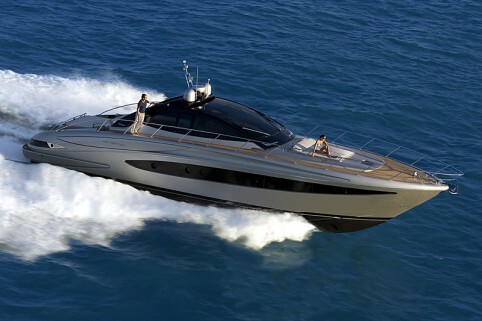 Her sleek lines and performance capabilities are second to none, boasting top speeds of 38 knots. 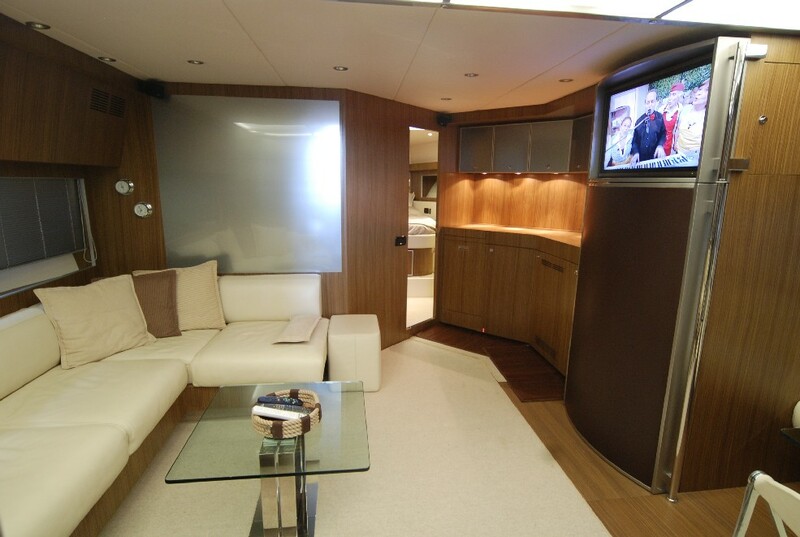 Below decks a salon features a large leather settee, and entertainment system and 3 en-suite cabins. 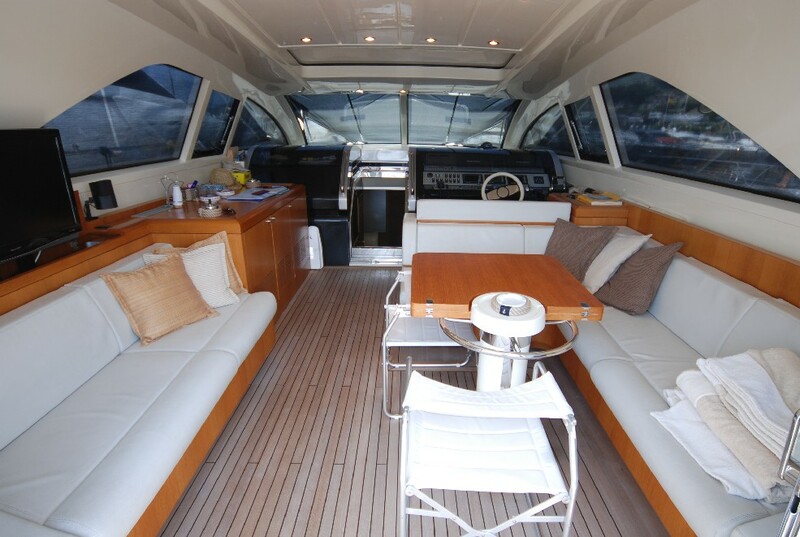 TEONE has an upper salon on the main deck which offers ample seating, semi alfresco dining, elongated side windows and a retractable roof top. 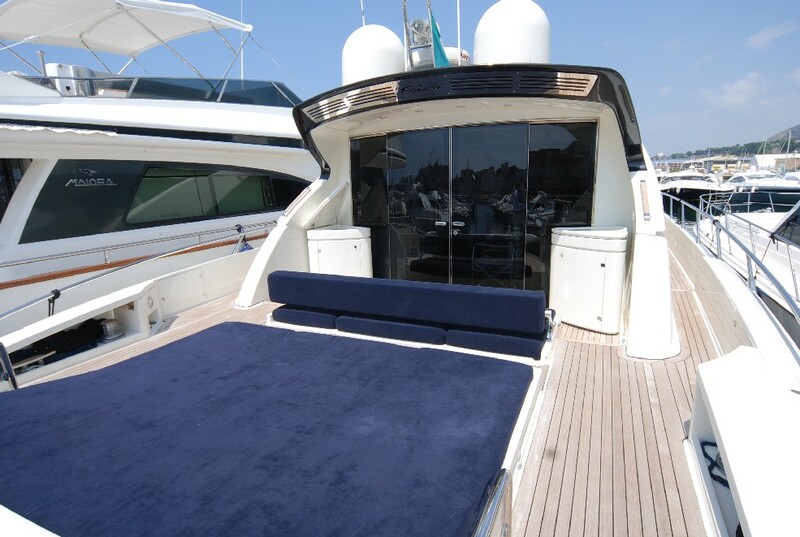 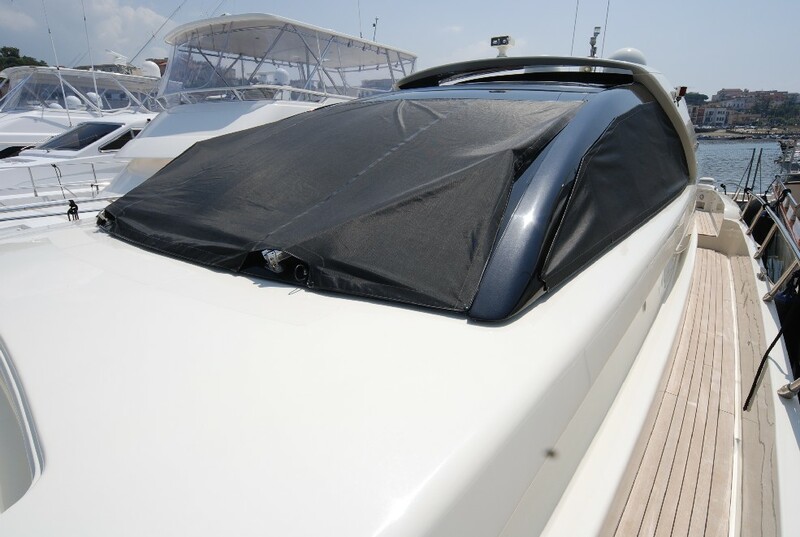 M/Y TEONE’s aft deck offers a double sunpad, while the foredeck boasts a further sunpad and fold down Bimini cover. 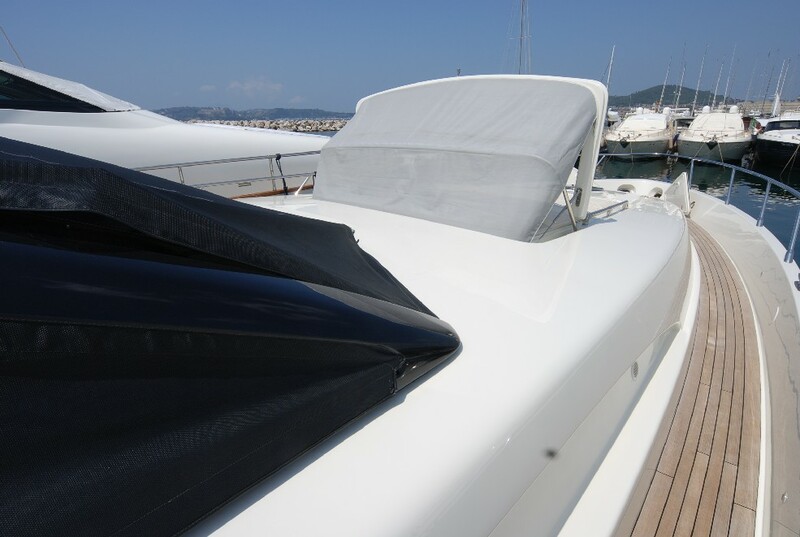 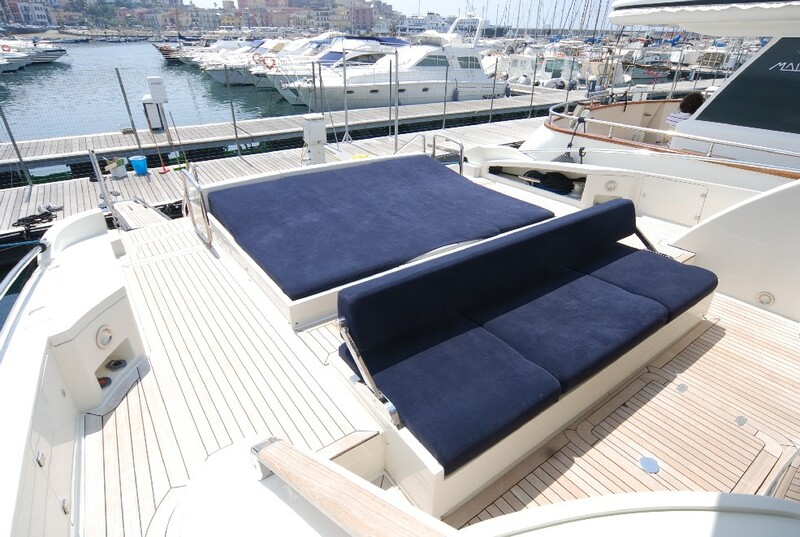 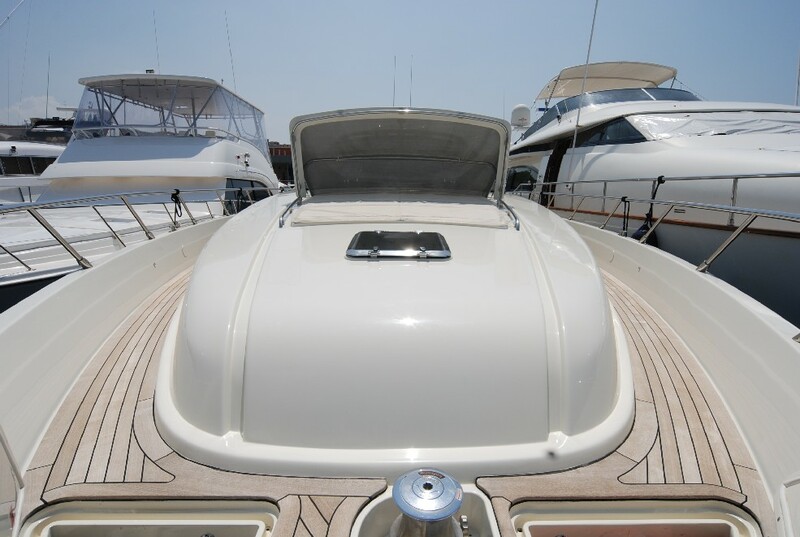 The teak decks wrap around the yacht 360° and are easy to comfortably walk fore and aft. 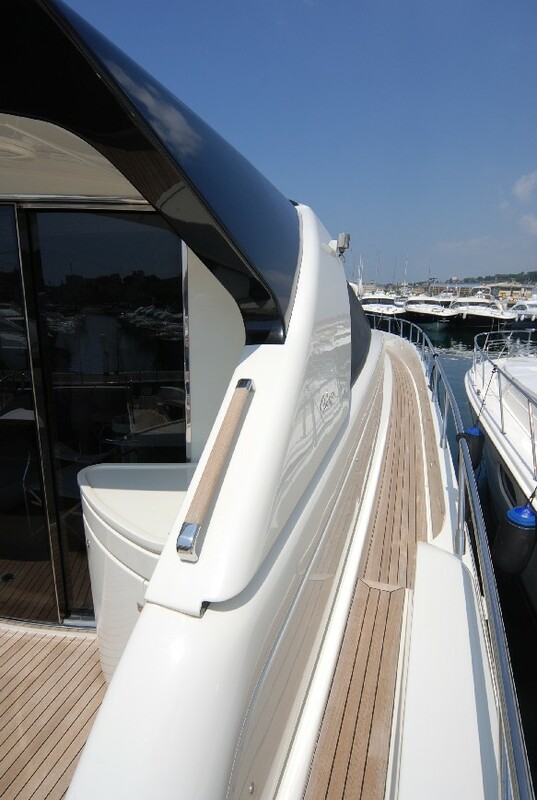 A full beam extended swim platform is perfect effortless water access, while at the dock, a projecting passerelle extends for ease of embarking and disembarking. 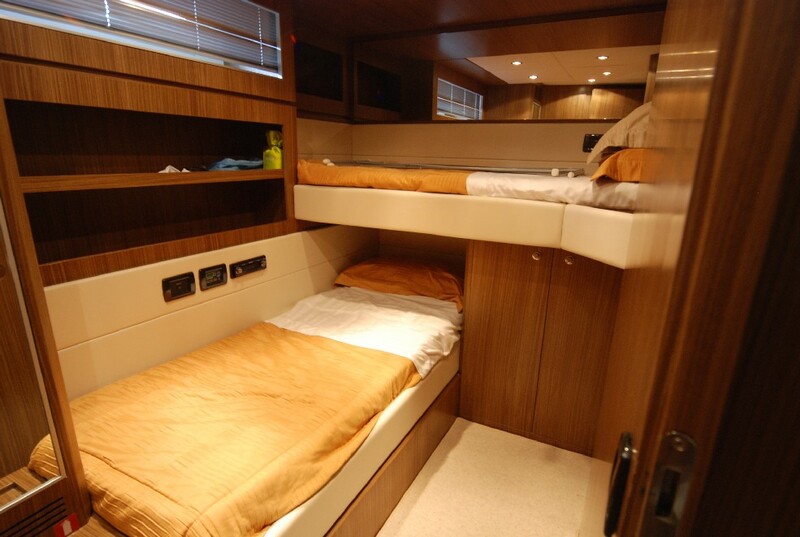 Yacht TEONE offers accommodation for 6 guests in 3 cabins plus crew. 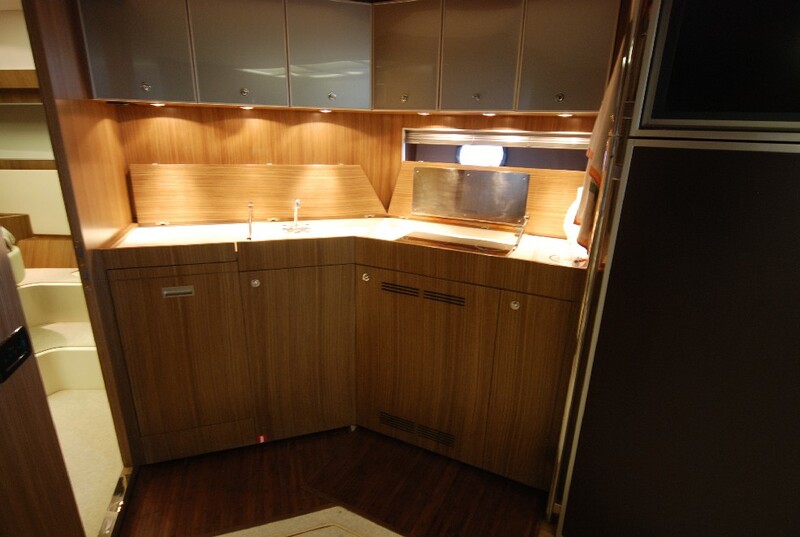 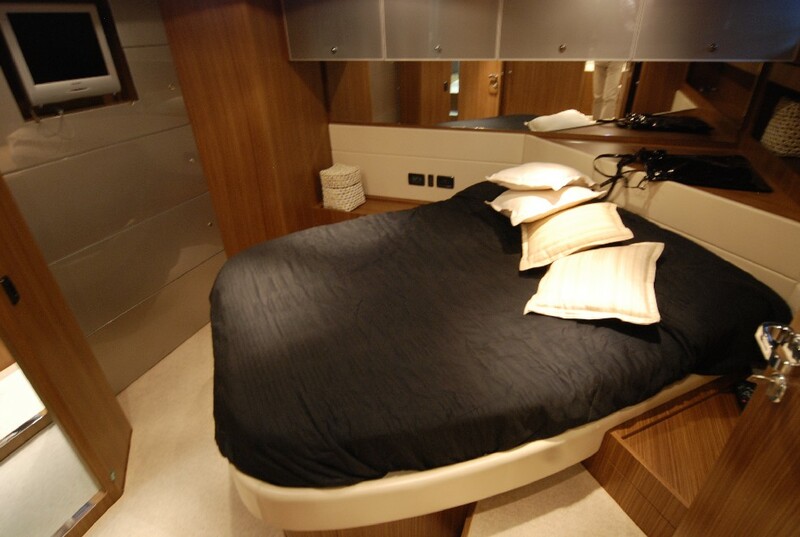 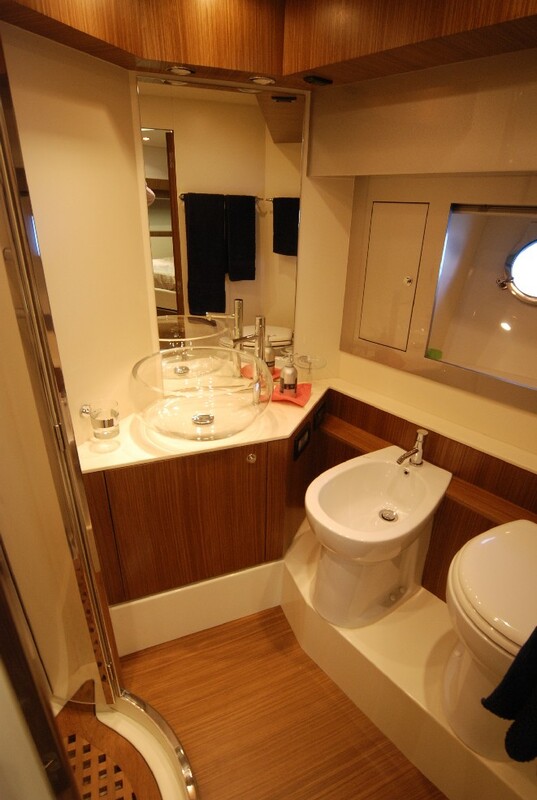 He full beam midships master cabin has full ensuite facilities. 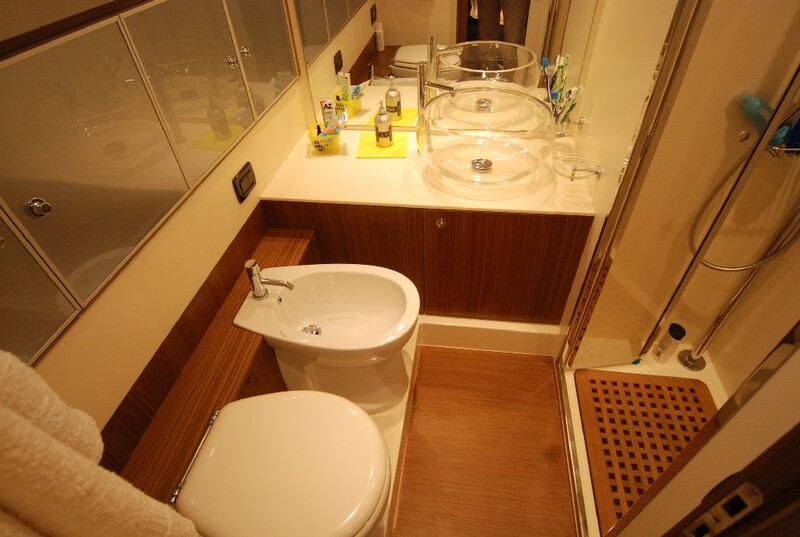 There is also a VIP guest cabin in bow with double berth and full ensuite and a Twin berth guest cabin to port with full ensuite.